Five gold miners working in a northern province of Colombia were kidnapped Friday afternoon, Colombia's military chief Alejandro Navas told The Canadian Press. The group – including one Canadian, two Peruvians and two Colombians – is being held hostage by the leftist National Liberation Army (ELN) in the Bolivar state municipality of Norosi. MINING.com reported last month that armed rebels were tightening control over gold mining in the South American country. 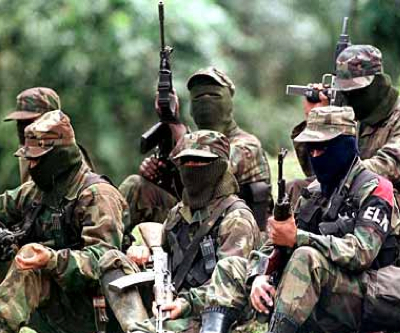 A recent study by political risk firm Exclusive Analysis says that a new generation of drug gangs (known locally as “Bacrims”) has joined Colombian armed rebels, such as Revolutionary Armed Forces of Colombia (FARC), turning to gold mining to finance their terrorist acts. According to the experts, funds coming from mining operations are now the main income source for the revolutionary groups. In some provinces, he added, it has overtaken drug trafficking, especially in areas controlled by the FARC. The country holds vast and, until now, untapped natural resources of coal, gold, silver and oil. The government has been taking a number of measures to boost the sector, which currently accounts for only 2% of Colombia's economy. However, much of these are in areas where the FARC has a strong presence.